In this new game IO you will have to become the king of pirates and face multiple players online. 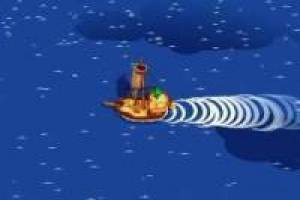 It is a game in which you will have to investigate the different islands in search of treasures to be able to sell and get a great fortune. You will start the adventure on the main island, here you will find the places where you can sell the treasures or the resources that you have obtained. To obtain these resources or treasures you will have to use the right mouse button of your PC. With this button you can dig in the sand in search of treasure. But the big treasure chests will be marked on the map with a black X. Travel to the brands to unearth the great treasures and get a fortune for them. You will have to face the players who fight for the same thing as you and lead the classification. 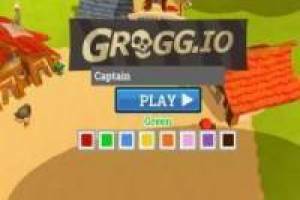 Enjoy the game Grogg IO, it's free, it's one of our pirates games we've selected.